Tired of struggling to read those ugly and confusing captchas on web forms? So was the HeavyGifts group, the masterminds behind the new service MetalCaptcha. 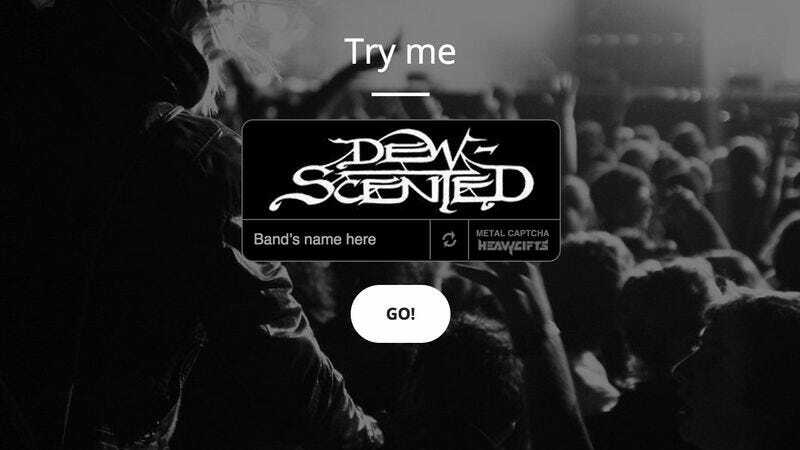 The free service replaces the traditional captcha mess with the name and artwork of different heavy metal groups. Bands can even submit their own artwork to the site so they can become a captcha, too.